Dive into the deep world of British culinary history with Blumenthal's new $200 book. 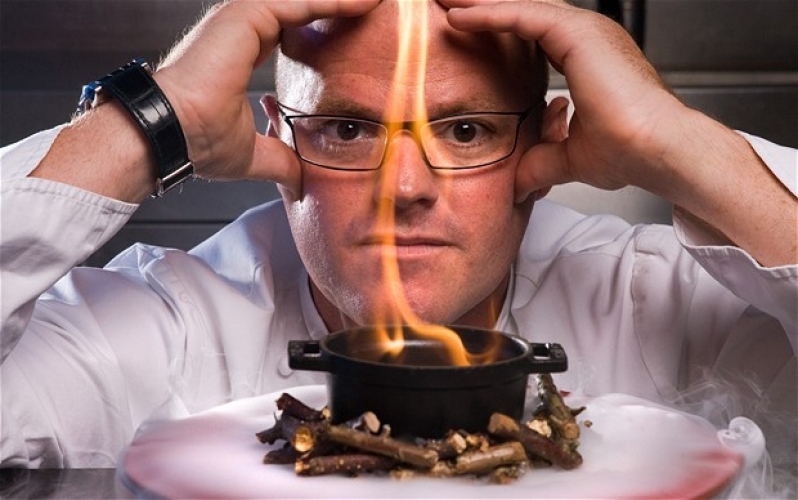 British celebrity chef Heston Blumenthal, of London’s triple Michelin-starred restaurant The Fat Duck, is back to writing cookbooks. And this tome might be Blumenthal’s classiest yet. The chef has already published three cookbooks: Heston Blumenthal at Home, Heston’s Fantastic Feasts, and The Big Fat Duck Cookbook, but his forthcoming Historic Heston is a different beast than the others. For starters, it’s 416 pages and contains 28 recipes (that’s approximately 15 pages per recipe.) The book is outfitted with a large, minimal, grey hard cover that fits perfectly into a larger, burgundy slip with the words “Question Everything” printed on it. Oh, and it comes with a $200 dollars price tag, or an $180 price tag if you buy it off Amazon. Historic Heston is much more than a cookbook, it’s an early modern British history lesson and a work of art. Blumenthal breaks down recipes that date back to the 16th century. He deconstructs classic British plates to uncover their origins and subsequent evolution. 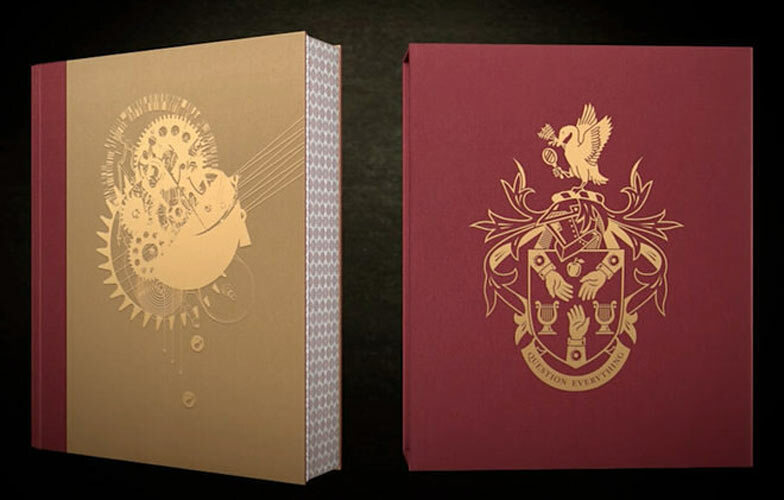 The book includes lavish recipes for meals like Meat Fruit (a meat parfait disguised as fruit), Sambocade (an early rendition of British cheesecake), Kettle Porridge, and more, all accompanied by illustrations from Dave McKean. The cookbook is as lavish as cookbooks get, and Blumenthal, with his acclaim and expansive knowledge of historical British cuisine, is probably the only person that could pull it off this well. Head over to Eater now to check out the exclusive, Peter Jackson-esque preview video. You can pre-order Historic Heston on Amazon right now, but it’s official release is November 12, 2013.